This course focuses on skills and knowledge necessary to install, operate, and troubleshoot a small to medium-size branch office Enterprise network, including configuring several switches and routers, connecting to a WAN and implementing network security. The course assumes a basic working knowledge of bridges and routers and a complete understanding of the OSI model, IP addressing, and IP subnetting. 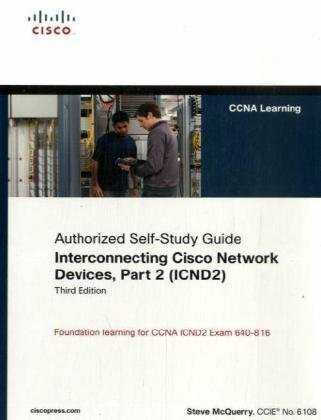 Interconnecting Cisco Networking Devices Part 1 is recommended and builds a strong foundation for this course. Understanding Networking Fundamentals and TCP/IP Networking also serve as prerequisites.